As a consultant, Arcane Strategies aims to work with each of our clients’ budgets and service needs. We’ve listed, below, several client case studies, spanning across our services from digital consulting to logo design or web development. While we love operations and systems administration, we are experts in web development. As such, you’ll find many of our contracts include designing and developing web presences. These cases represent a portion of diverse organizations, to give you a feel for the services we offer and the clients we work with. Each case study will present a client’s goal or dilemma and how we achieved it. We also hope that these insights give you a better idea of how we can assist you in your goals. We would also like to thank our clients for allowing us to share these stories with you. In addition to the below case studies, our portfolio includes sites like RumbleBoxing, dadstie.com, Daniel Ricotta MD, American Retail Shippers, and more. As a legal eagle of NYC, Moses and Singer has a fresh approach in its dealings with both clientele and employee relations. Prior to their 2019 web redesign project, they set out to make their culture reflective in internal operations with an employee forward intranet. Having requested a WordPress site with seamless registration, login, and multi-tiered editorial controls, Arcane proposed a theme-based build offering speed of development with a budgetary emphasis on functionality. The result was a WordPress website equipped with Active Directory LDAP integration to control roles and permissions as well as an employee directory with personally tailored profiles. 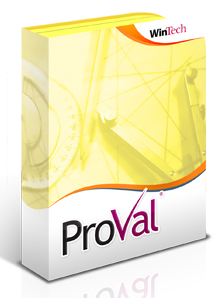 The intranet is further protected with local hosting and restricted to network access. Disaster Recovery: 1 hour Digital design studio located in Texas Watertree offers plug and play set up of SaaS products like Squarespace and Shopify. 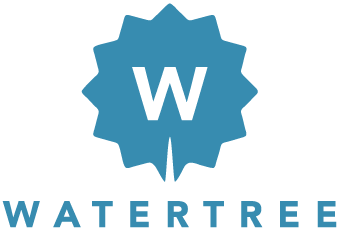 Watertree contacted us to get assistance in more technical solutions including disaster recovery of production assets broken during data migration. Arcane was able to complete restoration without any prior knowledge of the system, within 30 minutes and restore data loss shortly thereafter. Watertree was able to retain more clients because of Arcane's quick response and resolution. Cornerstone Information Technologies http://www.cornerstone.it/ is a leader in IT solutions, headquartered in New York City with offices in Philadelphia, Washington, D.C. and Los Angeles. With a unique organically grown business, Arcane's task is to contribute to increasing public exposure. As industry veterans, founders Tom and Jim Moreo have all the connections to build and retain business in NYC. Expanding outside of NYC, however, requires organic search results and a professional web presence. Arcane Strategies assisted through design, development, hosting, and support for their new website, alongside Cornerstone's marketing team. Originally a static site, three phases of redesign has it presently running on WordPress with aesthetics to match 2017 standards. The site is responsive and considers optimization best practices in its templates. The site also boasts several animation features and news feeds. Today, Cornerstone and Arcane Strategies work collaboratively to help promote the brand's online presence. Arcane also continues to provide SysOps support for Cornerstone's web servers. Cornerstone presently employs more than 3 dozen employees and operates out of New York, Washington DC, and Los Angeles, and Philadelphia. Cornerstone also has an internal marketing team dedicated to their web presence. We're very happy to be working with Cornerstone and are looking forward to the future.